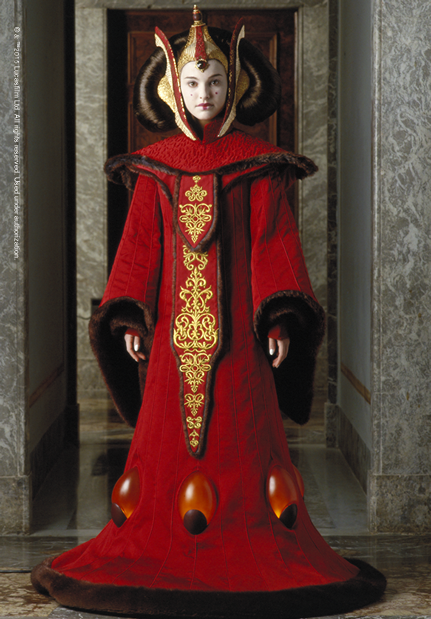 As Queen Amidala in The Phantom Menace, Natalie Portman wears nearly a dozen costumes. Far fewer were originally planned, but by the time the script was finalized, Lucas’s desire to expand the fashion universe had led to an almost threefold increase. There is a different costume in nearly every scene. 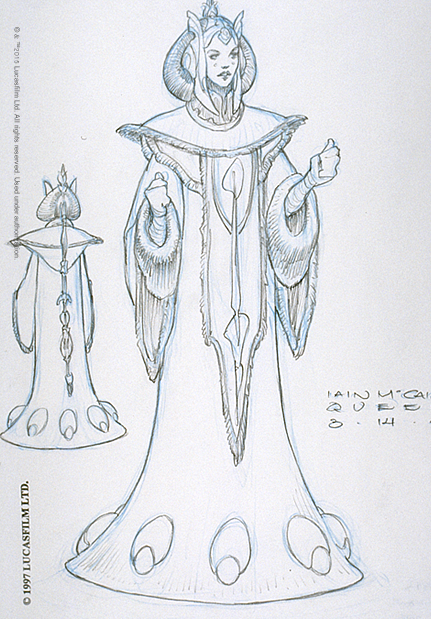 Throughout this film, the Queen’s costumes befitted her royal position, with elegance and ritual formality. 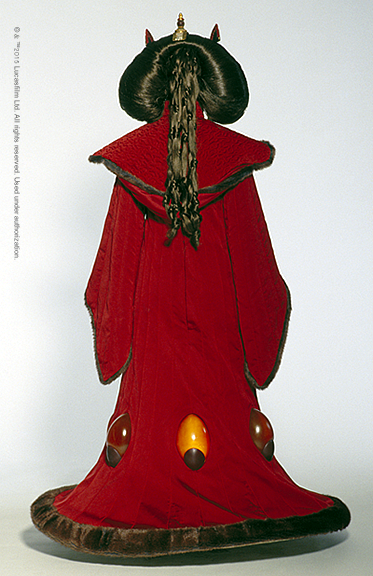 The brilliance of costume designer Trisha Biggar’s work in Episode I was first revealed in the sophisticated, otherworldly wardrobe of the young Queen Amidala, melding a great variety of cultures, traditions and fabrics into a unique style that set the prequel costume design standard. 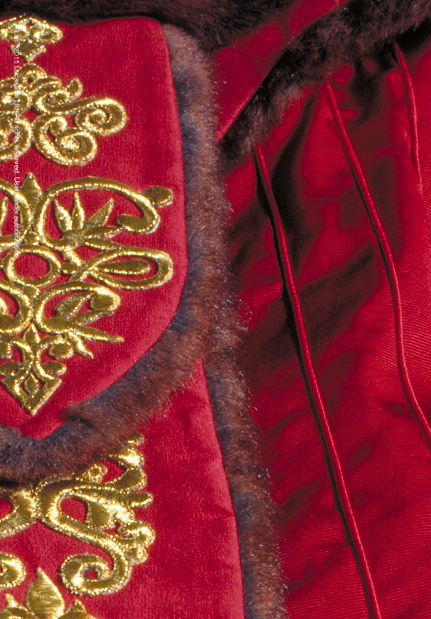 The Throne Room Gown is among the most complex creations and shows the influence of Chinese Imperial Court styles. “It took almost eight weeks to complete, and began with the manufacturing of an undergarment that resembled an upside down ice cream cone. The shape of this undergarment was constructed using many narrow panels of canvas that were reinforced with rings of crinoline steel around the hem to keep the shape rigid and support the weight of the fabric, allowing it to skim the floor, creating a floating, gliding effect.